We have a vacancy for an experienced 4 + years PQE Solicitor to join our highly regarded Commercial and Corporate Finance Team in our Basildon office. 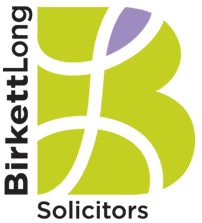 The Firm Birkett Long are redefining what it means to be a lawyer. Based in Essex, with offices in Chelmsford, Basildon and Colchester, Birkett Long focusses on people - our clients, our employees, our business partners and those in local communities. We are a modern thinking Legal 500 firm and this is an ideal opportunity to join a successful and thriving practice. The Role You will be part of our multidisciplinary Business team and demonstrate an aptitude for corporate commercial work. You should have experience of handling transactions, advising on corporate structures, drafting commercial contracts, shareholder agreements and terms of business. Ideally you will have experience in or an interest in developing expertise in Intellectual Property, being able to advise or develop your ability to advise on intellectual property rights, digital and e-commerce matters, software and hardware support contracts, website design and maintenance agreements and similar related matters. The Opportunity This is an excellent opportunity to join a growing team and to assist in the development of our Basildon office and London opportunities. The Team Our highly regarded team acts for a variety of clients from SME's to multi-national corporations. Team members have each carved a niche specialism within the corporate commercial discipline to add a further variety to the work. The successful candidate will be supported to develop their own specialisms. The team assists clients with buying and selling companies and businesses, shareholder and joint venture agreements, restructuring and corporate advice and reviewing and preparing commercial The Candidate The successful candidate will have proven experience in handing a busy caseload and a minimum of 4 years PQE. You will have the ability to deliver clear succinct and high quality advice, excellent client and team communication skills, drafting and negotiation skills and a desire to play a key role in the future development of the firm and the team. You will need to use your own initiative and provide good succinct commercial advice to clients. You will be computer literate, able to use a case management system and be able to type. The role will involve marketing and business development and therefore the successful candidate but be flexible enough to work outside normal office hours when required and preferably have their own vehicle as well as a clean driving licence. This role is an excellent opportunity for progression.